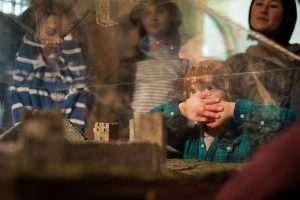 Join us this February half term and discover the regal side of Oxford’s 1000-year-old castle prison at a Kings and Queens themed week of activities. Meet two new character tour guides as King Stephen and King Charles I are brought to life to lead visitors on a compelling guided tour, exploring a Saxon tower, atmospheric crypt and captivating prison wing. Children will be challenged to solve an activity trail on their journey through the castle, claiming their reward from the castle treasurer! A royal workshop will also be held throughout the week, included in the ticket price, encouraging children to craft their very own crown to wear with pride and take home as a memento. To guarantee your time slot, book online using the form below.